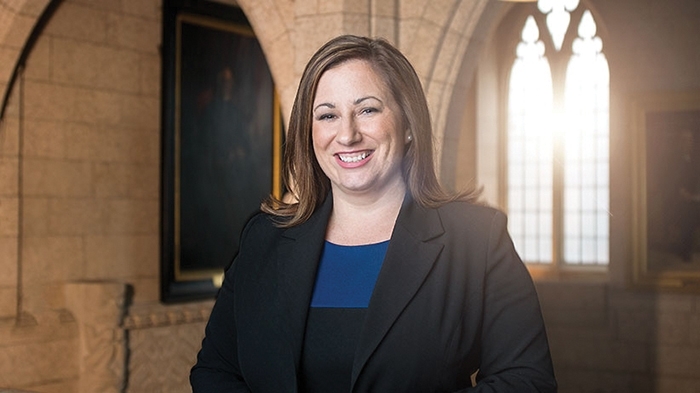 Shannon Stubbs is the federal Conservative Shadow Minister for Natural Resources. World-Spectator editor Kevin Weedmark interviewed her recently after a report from Scotiabank economists showed the Canadian economy will lose $15.6 billion this year. Were you surprised to see the impact reported in the Scotiabank study of the lack of pipelines in Western Canada? No it is the latest in the number of reports that have come out in the past couple of years highlighting how important both energy development itself but also pipeline capacity is to the economy. The very first speech I gave in the House of Commons was to a motion to support the Energy East pipeline and in 2016 I tabled an E-petition at that time. It has since been surpassed, but at that time was the most signed E-petition ever in support of pipelines and crucial economic pipeline infrastructure and urging the federal Liberals to make it a priority to establish pipeline infrastructure in all directions to diversify Canada’s export markets. It is a crucial issue for the Canadian economy. One of the things I’ve worked really hard on over the last couple of years is to get across to the federal Liberals that it’s not just the downturn in the energy sector and the benefits of energy development are not just isolated to say Alberta or Saskatchewan, it’s not just a Western or a Prairie thing, but very much underpins the entire Canadian economy, because energy is Canada’s number one private sector investor in the economy and energy products are Canada’s second biggest export. This is yet more confirmation about just how important the energy industry is to the whole country and the urgent need to increase pipeline capacity and to build new pipelines to tidewater. How important do you feel it is to reduce the differential between Western Canada Select (the benchmark price for Western Canadian crude) and world prices for oil? Really, Canada is a captive merchant dependant on the U.S. as our number one customer and this is part of the reason why accessing additional export markets is so important. The U.S. imports 99 per cent of Canadian oil and gas but just over the past couple of years they have transitioned very quickly to becoming not just Canada’s number one energy customer but our number one energy competitor. In the last couple of years of the Obama administration removed the 40-year ban on crude oil exports, and now under the current administration they are reducing red tape and regulations and costs. They are ramping up their shale oil development and they are moving very aggressively to secure their own domestic energy security and independence, while also becoming a major oil global exporter. The International Energy Agency projects that the U.S. will become a supplier of 80 per cent of oil in the global market in the next few decades, and so both the discount that Canada is forced to take because of a lack of pipeline capacity and also the dependence on one customer that is now Canada’s biggest competitor makes additional pipelines to tidewater and getting into these diverse export markets—particularly the Asia Pacific and India where the demand for oil and gas is going to increase exponentially over the next couple of decades—more important than ever. Is expanding pipeline capacity the only part of the puzzle or are there other elements of government policy that would have to change to make sure that Canadian energy producers have more access to export markets? Increasing pipeline capacity and adding new pipelines I think is what the focus should be for the federal government. More oil is being shipped now by rail but they are almost at capacity on rail and our pipelines are almost at capacity. So already, oil is sitting in storage and not moving right now. Pipelines are a crucial piece of economic infrastructure like any other major infrastructure investments across Canada. I represent a riding that is both energy based but also very significantly based in agriculture, and one of the things that happened a couple of years ago if you remember the back up in rail shipment for grain—part of that’s related to the competition on rail supply when they are moving oil. So I think increasing pipeline capacity not only will enable Canada to diversify its export markets in a safe but also most cost effective and efficient way, it will also have spinoff benefits for other sectors like agriculture by freeing up rail capacity. When you look at the problems that are facing Kinder Morgan’s Trans Mountain expansion, which has been approved, what can the current government do to make sure that the already approved pipeline projects move forward? It’s incumbent on the current government to put forward a plan. Last Monday I put forward a motion on behalf on the official opposition. We spent the day debating it, asking the Liberals to put forward a plan about exactly what they will do to ensure the Trans Mountain expansion gets built. For example it has been more than 2,000 days since the application with the Trans Mountain expansion was submitted. It’s been more than 440 days since the federal Liberals approved the Trans Mountain expansion along with Line Three. The B.C. NDP said from the very beginning that they would use all tools in the tool box to kill that pipeline and just as recently as last week the premier of B.C. said that they never believed that the pipeline was in the public interest. The opposition to the pipeline expansion should have been anticipated by the federal Liberals. When they approved the Trans Mountain expansion we applauded them obviously for that approval, but approval is one thing, getting it built is another. Recently the minister said that they would not accept any unnecessary or untimely delays. I think at the very least as a first step they should define what an untimely or unnecessary delay means and what is their threshold that they will not tolerate the expansion being delayed past. At least they should start there. It’s incumbent upon them to determine and then to explain to Canadians all the tools that are in their tool box to ensure that this expansion gets built and isn’t delayed unnecessarily, because the B.C. NDP’s tactics, for example musing about restricting the shipment of diluted bitumen, are just clearly delaying in installing tactics for a couple of reasons. One it’s the same product that the pipeline has shipped for decades, second of all, that was all studied in the federal regulatory process because the pipeline is under federal jurisdiction, and thirdly we should believe the B.C. NDP’s word, that they would do anything to kill that pipeline expansion. The Prime Minister is basically MIA. He didn’t even raise to pipeline on his first phone call with the Premier, and when I moved that motion on Monday, a couple of days later they defeated it. I think Canadians can be forgiven for saying where is the Prime Minister on this backing up their own approval, which is clearly in the national interest because it will create tens of thousands of jobs and add billions of dollars to the economy. In our area we would have seen a lot of investment if Energy East had gone ahead. There were plans for a 1,050,000 barrel tank farm at the Moosomin compressor station and a feeder pipeline from Cromer to Moosomin. Do you see potential for projects like Energy East in the future under a different regulatory regime? Yes, and I think the other thing is Evraz Steel around Regina area which builds the pipe, I think their potential contract was going to be with Energy East. I think it is with Trans Mountain. I think they have suggested that they have some jobs at risk the longer the delay of the Trans Mountain expansion goes on. As you know the Liberals just brought forward their legislation last week on the regulatory approval process. 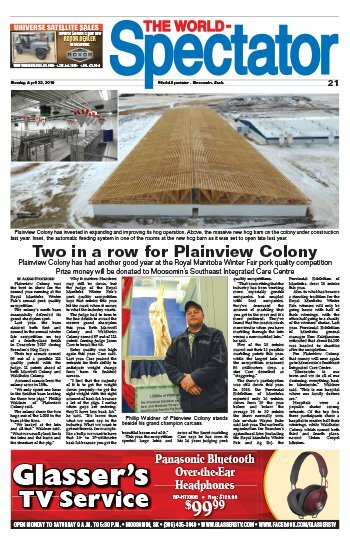 Some of those details remain to be seen, some of what will happen in the process will be determined through regulations and rules, but I can tell you one thing I’m already worried about in terms of multi-billion dollar investment in pipelines and also these additional investments like the tank farm at Moosomin is two fold. One is that they have increased the politicization of the process, so for example they provide the minister discretion to either approve or deny a potential energy project or mining, oil or energy proposal before it even gets into the assessment process, but there are no details on the legislation that clearly spell out what measures that an approval or a denial would be based on. So much for objective, independent, expert and scientific-evidence-based decision making. Then once it gets into the assessment, the Liberals claim they have provided concrete timelines, but what they’ve also allowed is that the commissioner at any time can suspend the hearings for as long as the commissioner decides, not counting against the overall time lines there, claiming they’ve provided for these projects. The minister also has a discretion to extend after the 450 day and 300 day period is up. The minister has the a discretion to add an additional 300 or 450 day assessment process after that as many times as they want. The minister also has the discretion after the approval is already given to go back and ask for more consultation or more assessments or more information, which is exactly the tactic that the B.C. NDP is trying to use to kill the Trans Mountain pipeline. On top of that they have also removed the standing test for intervenors in the approval process—and here is something that I hope Canadians will really speak out on—previously as you know for intervenors in the approval process there were two tests for them. One was either they had specialized knowledge or information that would contribute to the board making a decision on the proposal in front of them or, secondarily, that they are directly impacted by the project under assessment. For context on this, like in the Trans Mountain pipeline, that meant literally thousands of intervenors participated in the process. Only eight people were denied so I think that shows the standing test was sensible and reasonable and it worked. And now anybody can intervene in the process including—here are the risks—U.S.-backed organizations which obviously would want to keep Canadian energy out of the market because they are now Canada’s biggest energy competitor, or radical anti-energy European-based groups who just want to stop Canadian energy, period. Both individuals and organizations like that can now all intervene in the Canadian process, in hearings for a Canadian project under a Canadian jurisdiction, and that I think is a level of uncertainty that will be very worrying to energy investors and developers in Canada. How different would a Conservative government’s approach to pipelines be? The Conservative approach to pipelines was to accept the independent expert-based recommendation of the National Energy Board. The Conservatives did that. There were 10 pipelines approved under the previous Conservative government and four of those are in operation today. We support Canada’s standards and rigorous process and consultation and partnerships with First Nations on major energy projects, and we stood up for Canada’s reputation on the world stage as a world leader in environmentally and socially responsible oil and gas development. This isn’t a recent thing either, which is what is sort of frustrating with the new proposals. In 2014, which I would note is before the election of the federal Liberals and before the election of the provincial NDP in Alberta, Worley-Parsons conducted a study benchmarking Canada against other major oil gas producing jurisdiction around the world on their assessment standards, on consultation, compliance, performance, transparency, capabilities, on technology and innovation, consultation with First Nations, assessment of cumulative effects and environmental impacts and the indigenous traditional knowledge—all of these benchmarks—and the conclusion of that 2014 study was that Canada is second to none in the world—literally a world leader on all of those fronts. The conclusion of the study pointed out that the results re-emphasized Canada’s positions, so previous expert economic analysis internationally had found the same thing about Canada. There are some energy producing countries in the world that do things as well as Canada but none that do it better. Prime Minister Stephen Harper and the Conservatives used to talk about Canada’s role as a global energy leader and went out internationally to promote Canada’s responsible energy development. That’s what I’m doing in my position and now I think you would see the same advocacy. These are the differences that you would see between the two governments. Thank you very, very much for your comments and your time today. Thanks so much. 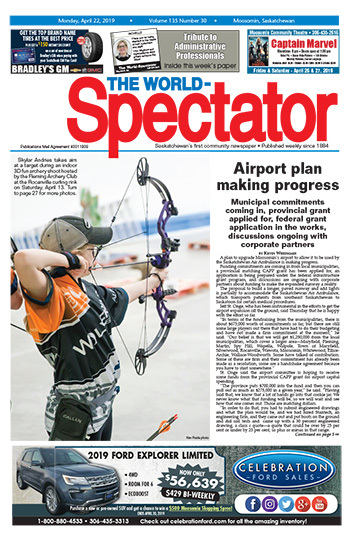 I think between Saskatchewan and Lakeland, my riding, and across Alberta, we see most acutely the way the downturn in energy has rippled through the economy and rippled through other sectors, and the consequences of hundreds and thousands, and people out of work and bankruptcies and foreclosures and escalating rural crime—those are all results of the downturn. I think it is felt most acutely in our provinces, but what is so important is for the federal Liberals to understand it impacts all of Canada.